Treon's Realm: Meet Yooka-Laylee - A 3D Platformer Rare-vival! The minds and talent behind Banjo-Kazooie have teamed up to give fans a spiritual successor in the form of Yooka-Laylee, a fresh new 3D platformer for Wii U from Playtonic. Playtonic is a brand new company comprised entirely of staff who worked at Rare during their glory days with Nintendo. Rumored for years, the game recently launched a Kickstarter campaign which immediately blew past its funding goal bringing in over $1 million dollars in less than 24 hours and continues to pull in funding from eager fans. 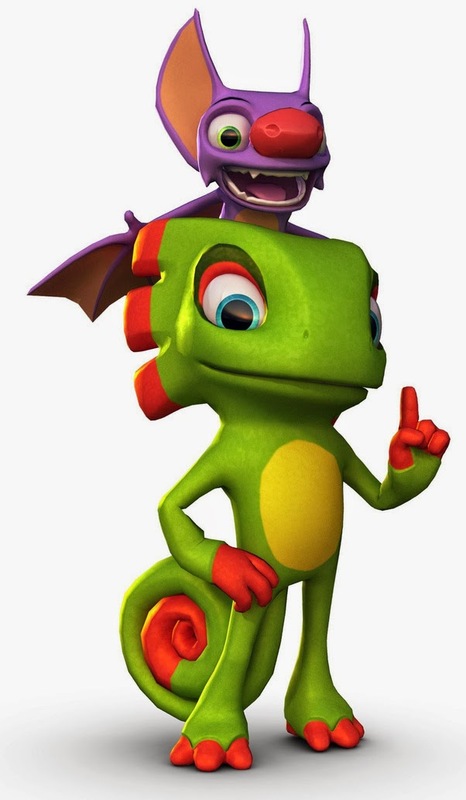 The game will star Yooka (a chameleon) and Laylee (a bat) who explore 5 massive worlds which expand in size as they collect Pagies. Built in Unity 3D, Yooka-Laylee features a stunning art style that showcases its Rareware heritage with lovable characters and a world that you just want to reach out and touch. Complimenting this beautiful art style is a soundtrack crafted by David Wise (Donkey Kong Country) and Grant Kirkhope (Banjo-Kazooie) which will instantly take you back to the glory days of Rare. The game is currently slated for a late 2016 release and will surely be a must own for any fan of Rare or 3D Platformers. Enjoy!